Everyone we know likes pandas, so we know that you will love them as well. So another panda we are fond of, the Royal Panda Casino has prepared an exclusive draw. To get a chance to win a new PS4 and a VR set, you will need to sign up with them first. 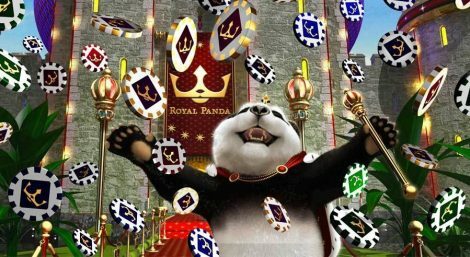 So during November, for every €25 you deposit in the Royal Panda Casino, you will get one one ticket. The promotion started on the 1st of November and will last until the 30th. So if you want a chance to win the best gaming console, you should head to your favourite panda operator with royal blood and start playing. If you are lucky enough to win you can either grab the PlayStation 4 with the revolutionary gaming virtual reality headset or you can take €800 if you are not a gamer type. Many of our readers enjoy playing online slots and live dealer games. However, not many of them enjoy computer games or even high-quality console ones. We assume that it is the same with the Royal Panda Casino customers, so if this offer does not seem like something you or your child can enjoy, you can take the money instead. That is if you win, of course. Our team wishes you Good Luck!